What’s better… Christmas season or wedding season?! As we all know from Wedding Crashers, it’s clearly WEDDING SEASON! 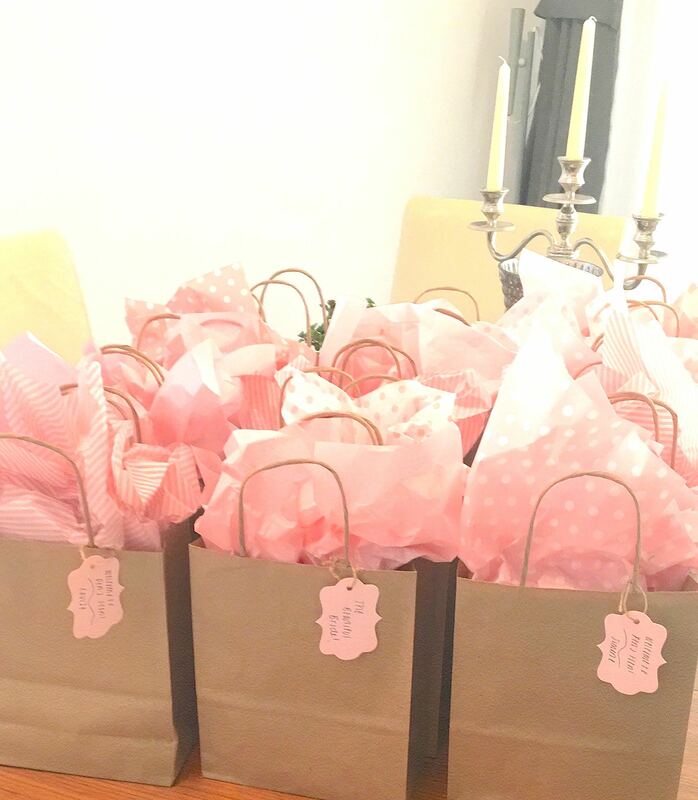 I am a bridesmaid for my sister-from-another-mister Penny in just a few short weeks! 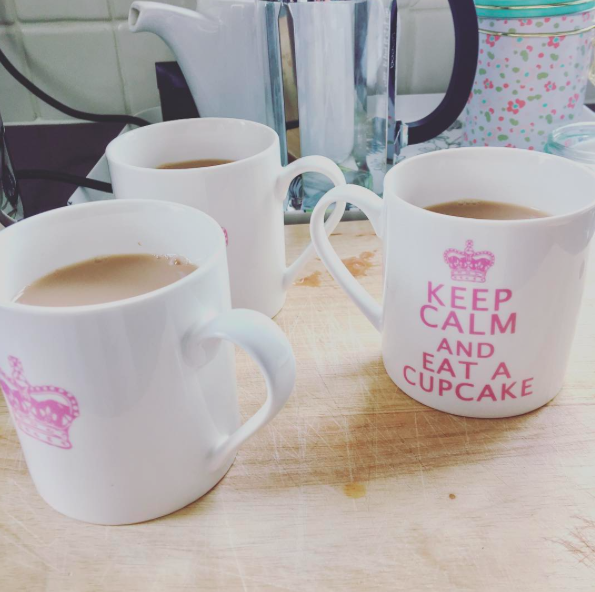 The bride tribe and I had so much fun organising her hen do (or bachelorette party as us Americans say) – and thought I would pass on some ideas for your future festivities! I was in charge of decorations because (1) I’m obsessed with glitter and confetti (2) Pinterest is my Bible and (3) I love a good crafty project! 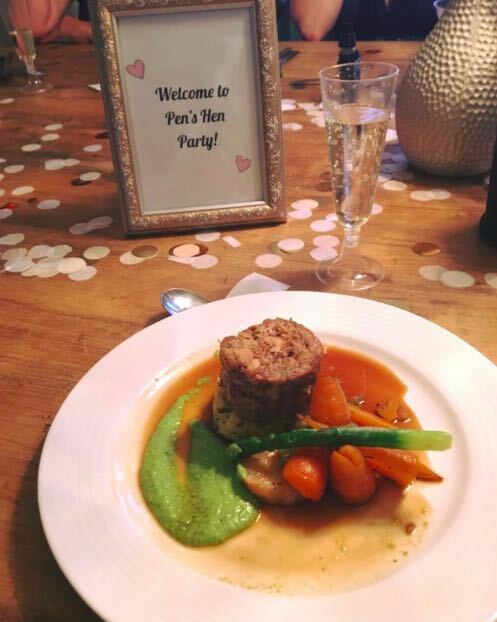 Amazon, Ebay and Paperchase were my go-to places for operation Pen’s Hen! You can find great decorations at inexpensive prices. 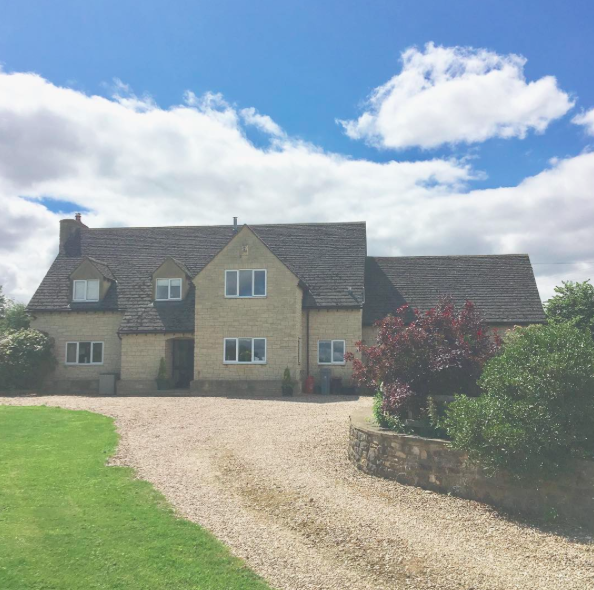 I first picked out a colour scheme (white, pastel pink and mint) and went from there! 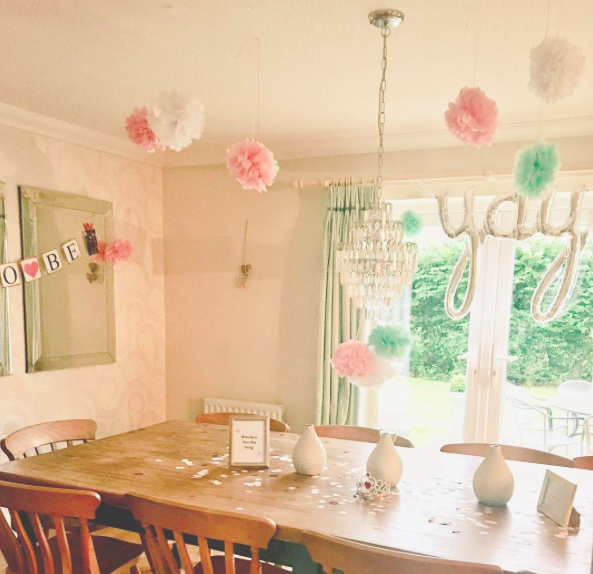 Paper pom poms, balloons, a ‘bride-to-be’ banner and confetti were at the top of my list – they would look perfect in the Oxfordshire cottage we rented for the bride-to be! 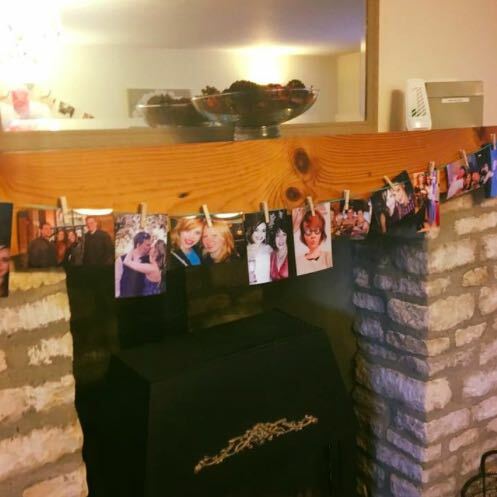 Photos are also a nice way to personalise the space – plus, a great way to reminisce and meet the rest of the bride’s friends! Photo props (funny glasses, moustaches, lips, etc) – perfect for selfies! Plus, they looked super cute! Other necessities on the list: a tiara and veil for our beautiful bride! We also dressed her up in a ‘joke’ wedding dress for the evening. She was definitely surprised! 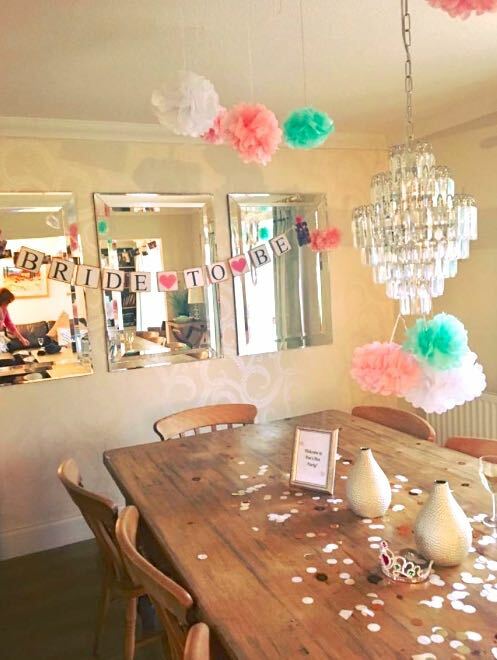 What decorations have been a hit at your parties/hen dos? Happy hen do! Embracing the beauty of style, food and travel whilst bopping around London.